A 33-year-old man broke into a Post Office in an early morning raid and stole money, cigarettes and alcohol. 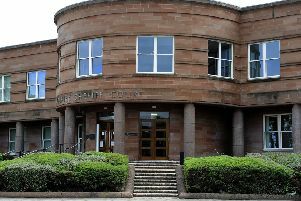 Appearing at Falkirk Sheriff Court last Thursday, Forbes Johnston, Flat 5/2, Matthew Steele Court, Bo’ness, had admitted forcing his way into the property on Baker Street, Bo’ness on June 11 while on bail. Johnston made off with a haul which included £71.10 and 300 euros in cash, as well as three packets of cigarettes, after smashing a window to gain entry into the property. The court heard how Johnston has a long-term drug abuse problem and has used heroin since he was a teenager. Sheriff Derek Livingston sentenced Johnston to eight months in prison.